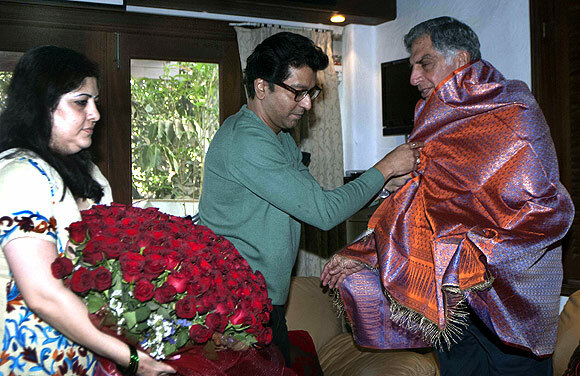 Tata Group Chairman Emeritus Ratan Tata on Friday met Maharashtra Navnirman Sena (MNS) chief Raj Thackeray at his residence in Mumbai. 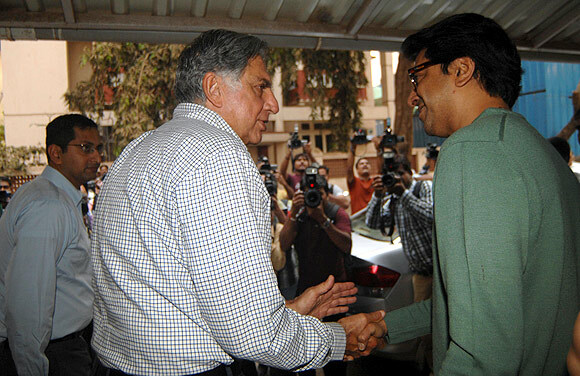 Image: Ratan Tata at Raj Thackeray's house. "Yes, he (Tata) was here. 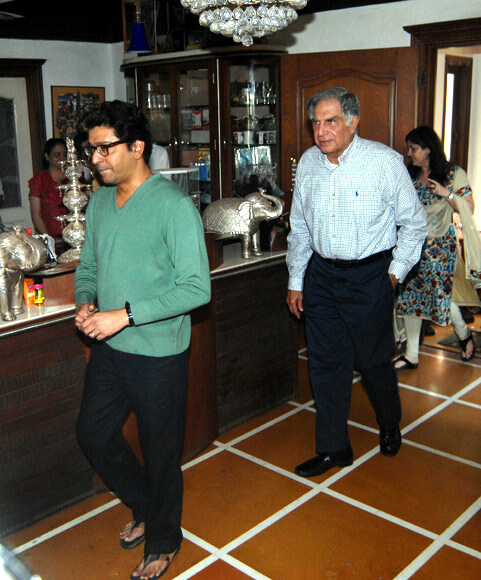 It was a casual visit," a source close to Raj told PTI. There was no agenda behind his visit. It was a friendly visit. 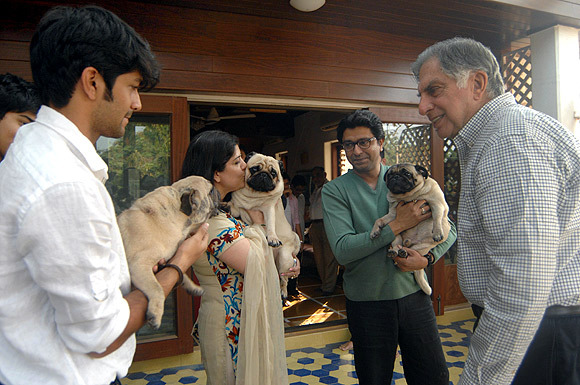 A dog lover, Tata also spent some time playing with Thackeray's pet dogs. Sharmila, Raj Thackeray's wife, was also present at the hour-long meeting at `Krishna Kunj', the MNS chief's residence in Dadar, Mumbai. 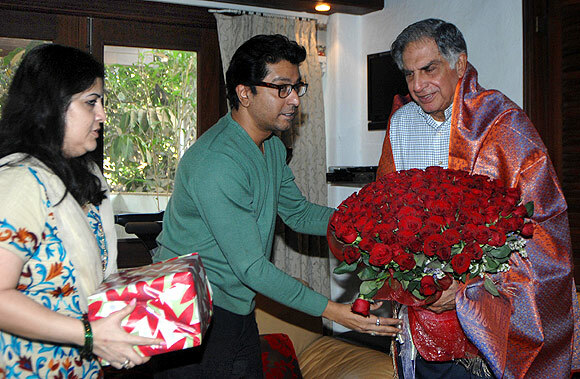 Thackeray and Tata discussed books, music and pets during the meeting.